One or more photo(s) has been virtually staged. AMAZING DOWNTOWN SARASOTA CONDO ON THE WATER WITH DOCK AND BOAT LIFT! This spacious corner unit condo has a water view of the exclusive Hudson Bayou. The unit is on the second floor, allowing for high vaulted ceilings. The open kitchen features solid stone counter tops, hearty wood cabinets, stainless steel appliances, and a convenient wine fridge. The kitchen also has a garden window, where you can grow herbs or add color to your kitchen with fresh flowers. Just off the kitchen, the dining area features an inviting bay window. You will be delighted to find gleaming wood floors throughout the condo. The layout is ideal, and is a split floor plan with two generously sized bedrooms at the front of the condo and the master bedroom at the back of the condo overlooking the water. For your convenience, the condo comes with a 1 car garage. Located by the boat dock, enjoy the heated pool year round! COME SEE THIS UNIT TODAY! Restrictions: 1 dog under 20 pounds and 2 indoor cats. Please, send me more information on this property: MLS# A4428091 – $600,000 – 874 Hudson Ave #874, Sarasota, FL 34236. 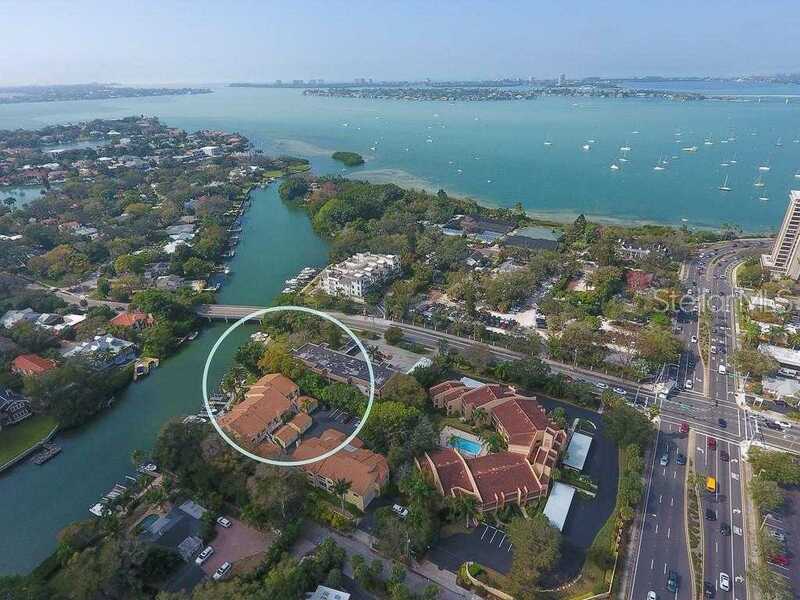 I would like to schedule a showing appointment for this property: MLS# A4428091 – $600,000 – 874 Hudson Ave #874, Sarasota, FL 34236.